THE widespread failure of economists to forecast the financial crisis that erupted in 2008 has much to do with faulty models. This lack of sound models meant that economic policy makers and central bankers received no warning of what was to come. 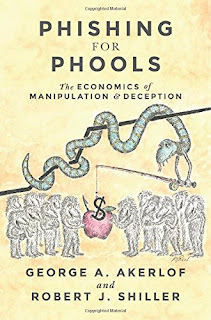 As George Akerlof and I argue in our recent book "Animal Spirits," the current financial crisis was driven by speculative bubbles in the housing market, the stock market, and energy and other commodities markets. Bubbles are caused by feedback loops: rising speculative prices encourage optimism, which encourages more buying, and hence further speculative price increases - until the crash comes. But you won't find the word "bubble" in most economics treatises or textbooks. Likewise, a search of working papers produced by central banks and economics departments in recent years yields few instances of "bubbles" even being mentioned. Indeed, the idea that bubbles exist has become so disreputable in much of the economics and finance profession that bringing them up in an economics seminar is like bringing up astrology to a group of astronomers. Sometime in the mid-1980s, Robert Shiller and John Campbell '84PhD created The Chart. It wasn't especially complicated. It showed average stock prices, relative to corporate earnings, going all the way back to the late nineteenth century. Wall Street analysts produce charts along these lines all the time. The measure is called the price-earnings ratio, and it is the single most common analytical yardstick of the stock market.